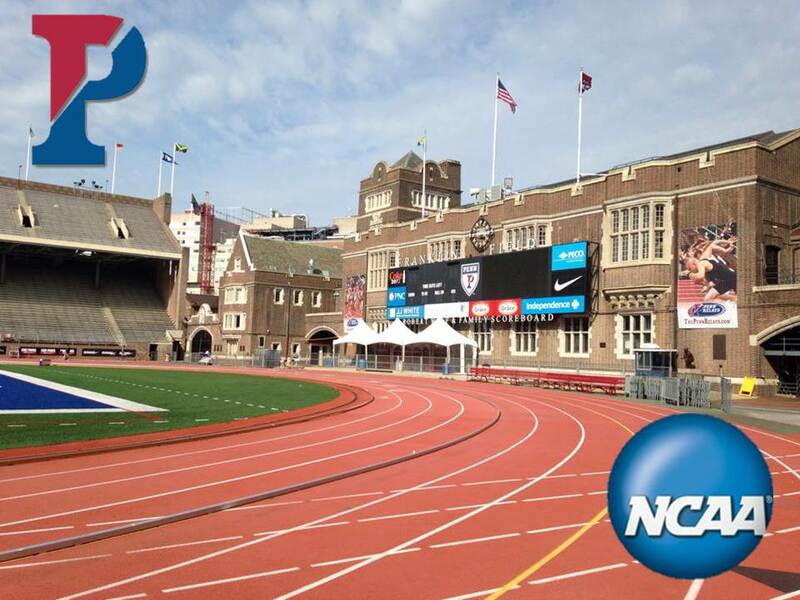 HepsTrack.com has learned that the University of Pennsylvania is interested in bringing the NCAA Outdoor Track & Field Championships back to the long-forgotten East Coast. In its application to host the Championships for the third time, Penn spells out some surprising configuration changes to the 120-year-old Franklin Field. The initiative is tied to a renewed focus on the Penn Relays from the athletics administration. New athletics director M. Grace Calhoun — a former runner at Brown University — has experienced dwindling revenue from both football and men’s basketball, long the breadwinning programs in the Quaker athletics department. The recommitment to track & field is seen by some as a means to re-invest in the athletic programs that could yield the greatest potential return in years to come, especially if Penn wins the bid for the 2022 Championships. It is true that college track has ignored the East Coast. In the last 20 years, only one of the 60 possible championships for cross country, indoor, and outdoor track and field has been hosted in the Northeast and Mid-Atlantic regions. The 1998 NCAA Outdoor championships were contested in suburban Buffalo, N.Y. Franklin Field has been the only other location in the Northeast to play host to the NCAA Outdoor championship (in 1961 and 1976). Other Northeast schools have hosted either cross country or indoor track championships, but like the outdoor championships, it has been many years. Lehigh University in Bethlehem, Pa. hosted the NCAA Cross Country Championships in 1993 and Syracuse University welcomed the NCAA Indoor Track & Field Championships in 1985. Penn’s odd track configuration — wherein lane 5 is the 400-meter lane and the steeplechase pit is on the outside of the track — has eliminated consideration for Franklin Field to serve as a host for the last four decades. The proposal to the NCAA will address those concerns with the University’s plan to add four additional lanes beyond the current track and reassign the 400-meter lane 5 as the new lane 1. To accomplish this, the brick wall which surrounds the track would need to be pushed back by three rows and the water pit would be moved to the inside of the track. The current four inside lanes — which are shorter than 400 meters — would be removed, thus creating more gradual turns which would help deliver even faster times for the athletes. Additional benefits from this retrofitting would include improved sight-lines for the fans and more advertisement space on both the new walls and the infield. Even if the NCAA proposal is not accepted, Penn is planning for these modifications to improve the Relays. At this time, there is no word on the construction start date. In addition, Franklin Field — the oldest college football stadium still in operation — has had dramatic improvements in recent years with the development of Penn Park along the Schuykill River. Among the facility upgrades include the state-of-the-art Irving “Moon” Mondschein Throwing Complex, which has Olympic sized javelin runways and throwing cages, while having very spectator-friendly close-up viewing areas for the two shot put circles, hammer/discus throw cages, and javelin throwing area. That complex was dedicated during the 2014 Penn Relays. Of course, location is a prime reason for NCAA’s consideration. The stadium is located in downtown Philadelphia, which has its own international airport, large-scale public transportation system, and interstate highways and railroad systems located within blocks of the stadium. The proposal will be submitted to NCAA on April 1st, 2015. This entry was posted on Tuesday, March 31st, 2015 at 12:00 pm. It is filed under Penn Relays. You can follow any responses to this entry through the RSS 2.0 feed.